Some really interesting recent research on performance management was published in the Harvard Business Review in April 2015 by Marcus Buckingham and Ashley Goodall from Deloittes. 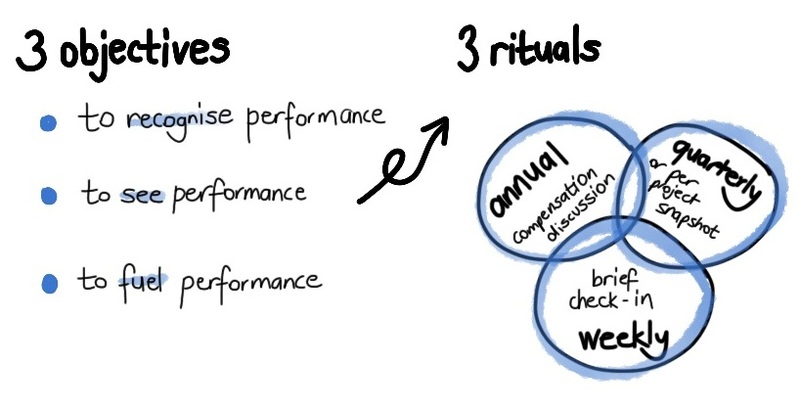 how to build a performance management system that is nimbler, real-time and more individualised – something focused on fueling performance in the future rather than assessing it in the past. the importance of ‘mastery’ and team members having the opportunity to use their strengths – and the very strong correlation with high performance and engagement. 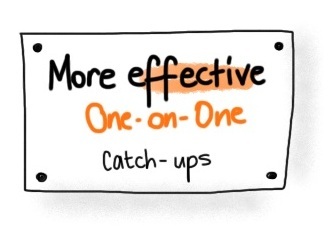 the important link between the frequency of the one-on-one catch-up and the positive link between performance + engagement. The article is definitely worth a read as it offers some great insight into a modern day approach to managing performance. 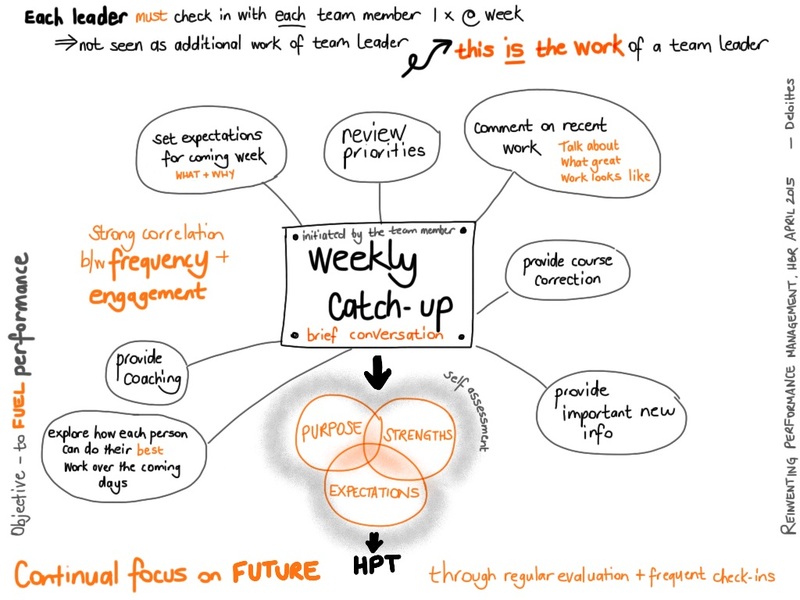 For this post, however, we thought it would be useful to share the ideas presented about the use of a one-on-one catch-up between the leader and their team members. ‘Research into the practices of the best team leaders reveals that they conduct regular check-ins with each team member about near-term work. These brief conversations allow leaders to set expectations for the upcoming week, review priorities, comment on recent work, and provide course correction, coaching, or important new information. The conversations provide clarity regarding what is expected of each team member and why, what great work looks like, and how each can do his or her best work in the upcoming days—in other words, exactly the trinity of purpose, expectations, and strengths that characterizes our best teams. Their research also found that the best way to ensure frequency is to have check-ins be initiated by the team member—rather than by the team leader. To support both people in these conversations, they also allowed individual members to understand and explore their strengths using a self-assessment tool and then to present those strengths to their teammates, their team leader, and the rest of the organization. How often are you meeting your team members – ensuring clarity of expectations, alignment to purpose and an opportunity to explore what is needed for them to do their best work in the coming weeks? Are you spending more time on reviewing the past than positively contributing value by helping to fuel future performance? How might you tweak your catch-ups with your team members to take advantage of the benefits described in this study? 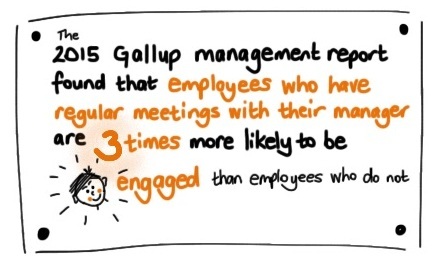 Note : Gallup’s 2015 management report found that employees who have regular meetings with their managers are three times more likely to be engaged than employees who do not. Click here to see another post with some suggestions for 1 – on- 1’s – before, during and after the meeting. Click here to see a MindTools post entitled ‘How to have a great one-on-one’. Get the richest view of your workers, not just the simplest.